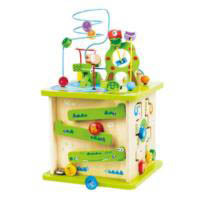 Wild, interactive fun play and learning with the 5-sided Wild Safari Adventure Centre from Hape. 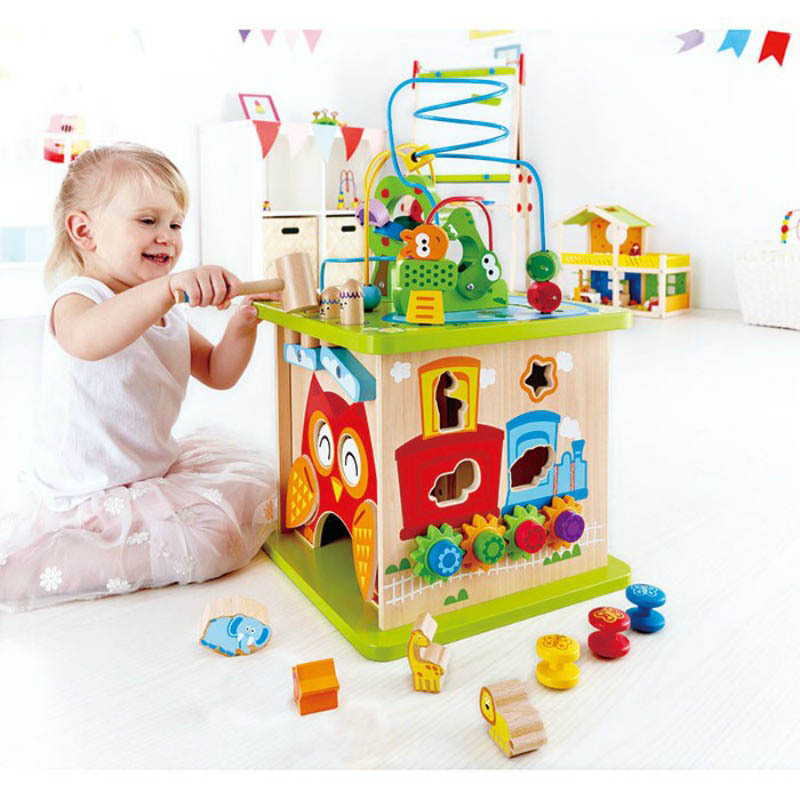 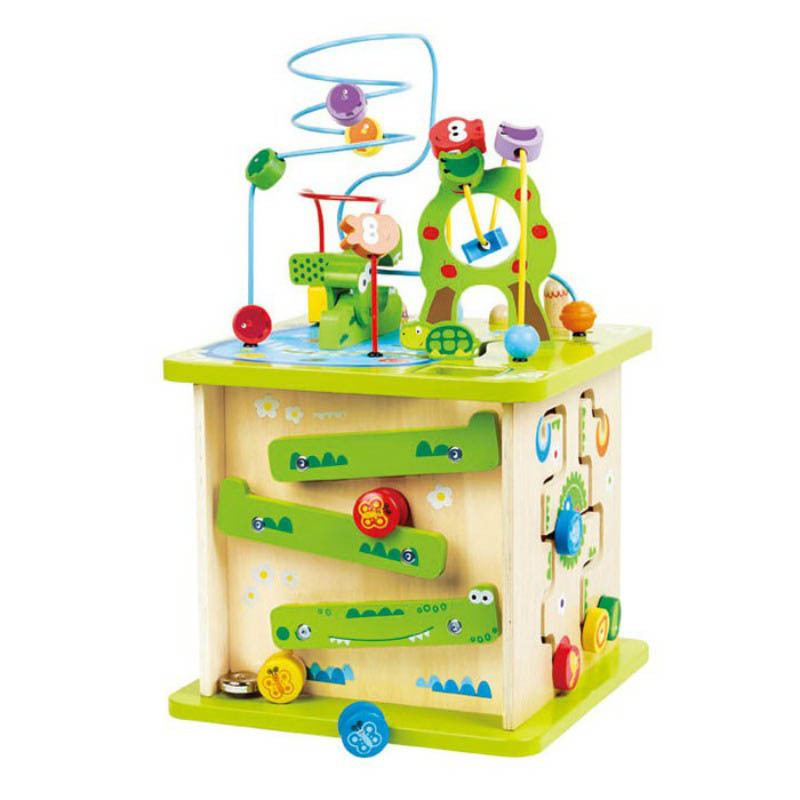 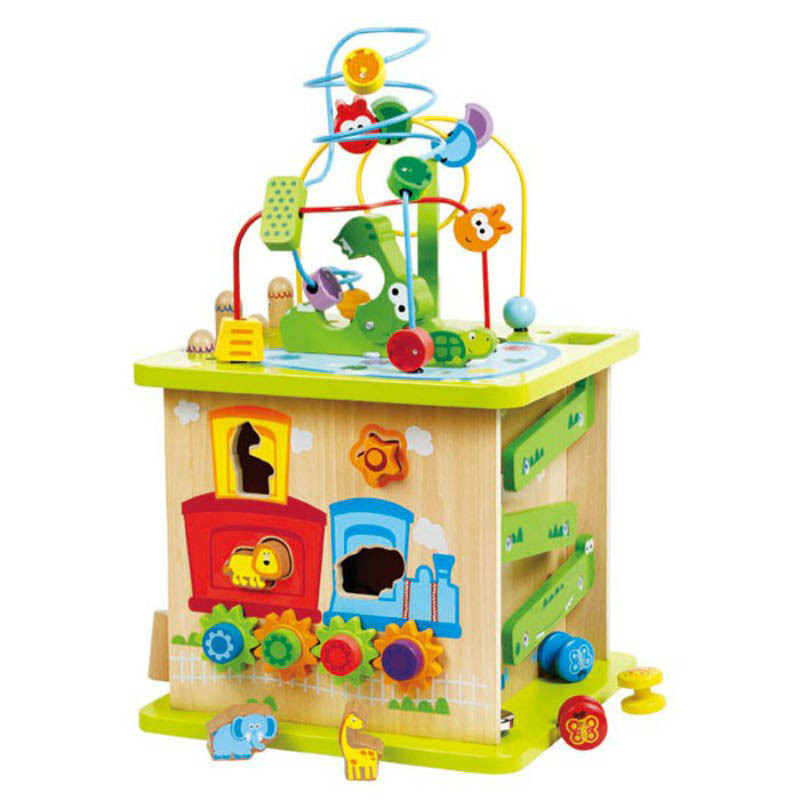 Bead and Wire Mazes, Wooden Animals, Shape Sorter, Cogs, Pound and Tap Hammer and Bunny Pegs, Rolling Reels, Snappy Crocodile and Peekaboo Owl. 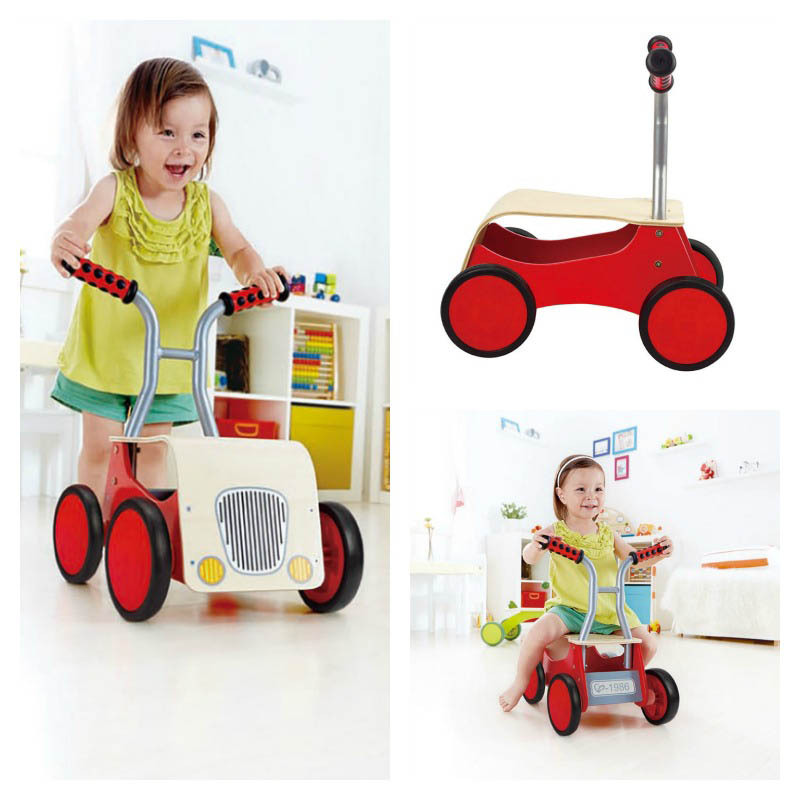 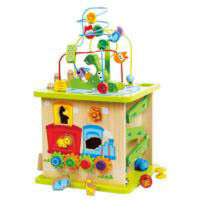 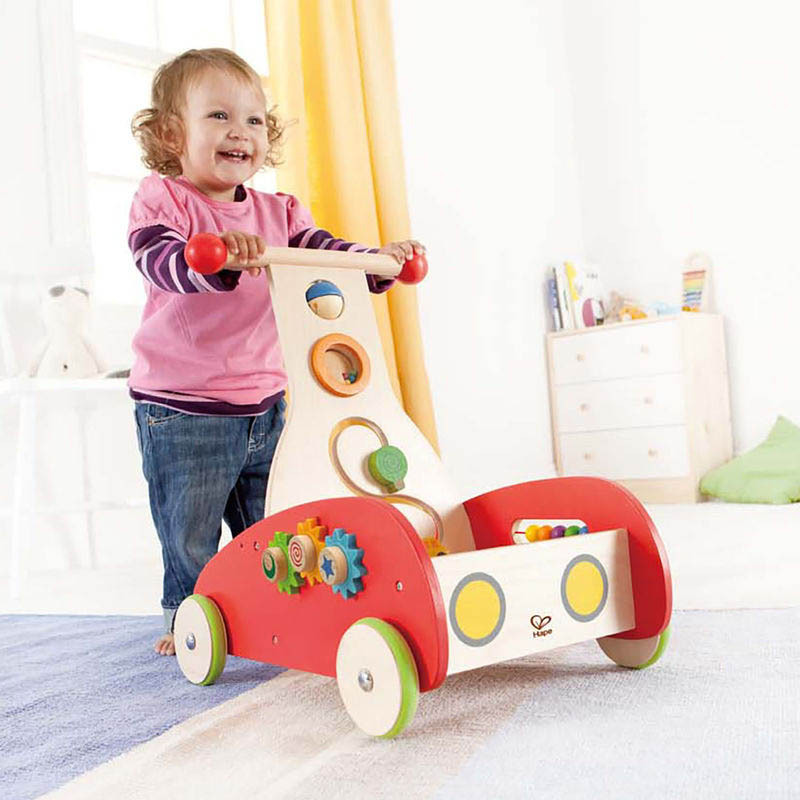 This activity centre will be sure to entertain and excite with hours of play. 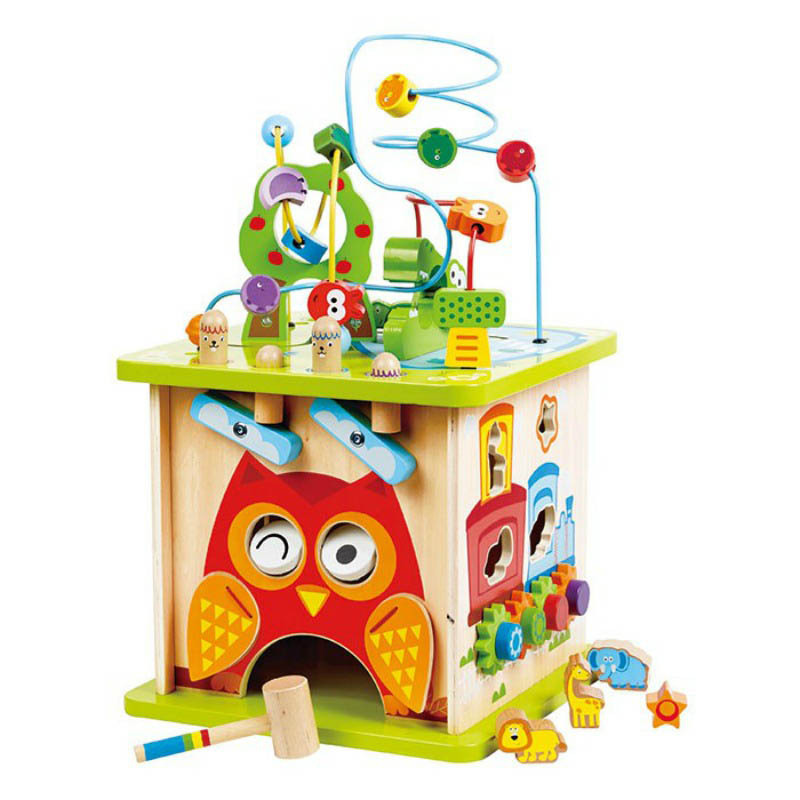 Measures 34.5cm L x 34.5cm W x 53cm H.